• Price is per head. Cones are sold separately. 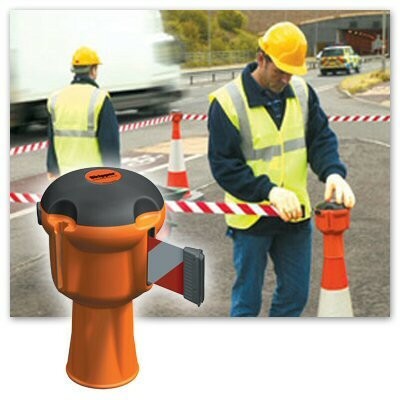 Designed to fit over the top of most standard traffic cones with a 'bobble' top, the Skipper unit connects cones together to cordon off 'work in progress' areas utilising 9m of retractable, high visibility chevron tape. 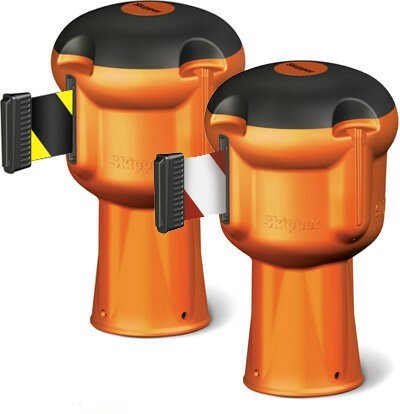 Skipper simply clicks on top of most traffic cones, saving time, storage space and money. It pays for itself in months over throw away barrier tape. 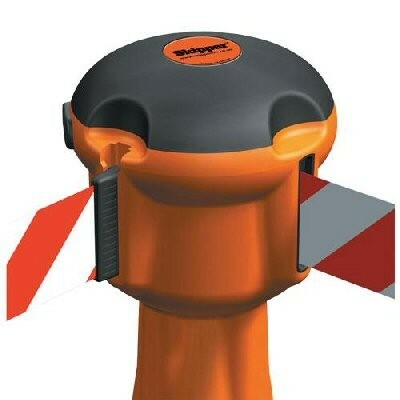 • Features 9m of high visibility Red/White or Black/Yellow chevron tape which connect cones together.